Par is the value which is specified in the at the time of issue of bond no matter whether the bond is issued in the market premium or discount. It is also called as face value or maturity value principal. Generally, bond is issued in the denomination of Rs 1000. But, it can be issued in multiples of Rs1000 also. In the context of Nepal, bonds must issue in a denomination of Rs 1000. Par value is always repayable at the end of maturity period no matter whether the bond is issued at premium or discount. Coupon rate is the rate which is specified on the bond certificate. Bond has in general fixed interest rate that remains same up to maturity period. Rupee amount of interest is calculated on the basis of par value even if the bond is sold at premium or discount. Generally interest is paid on annual basis as well as semiannual basis. The borrower needs to pay fixed interest in each period up to maturity period. 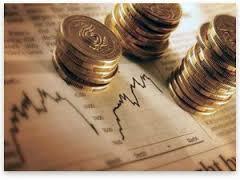 In general, the interest rate at the time of bond issue is equal to the market interest rate. Bond’s interest rate remains same up to maturity period but market interest rates do not remain same. It changes with the change in demand and supply condition in the market sometimes, however, zero coupon bonds are issued that make no interest payment. Zero coupon bonds are always sold at discount and redeemed at par. Almost all bonds are issued with a finite time period. An investor has right to receive interest in each period up to maturity and right to receive principal at the end of the maturity period. The maturity period which is set at the time of bond issue is called original maturity. Of course, the effective maturity of a bond declines each year after it has been issued. The remaining maturity period until the bond matures is called time to maturity. Sometimes, however, perpetual bonds are issued without keeping maturity period. Call provision refers to the provision that provides the borrower with the right to call the bonds for redemption before maturity period. The borrower exercises the call provision when the market interest rate is less than that of bond’s coupon rate or the fund is no longer needed. The time period during which company cannot exercise call provision is called call protection period. Call price is the summation of call premium and the face value of a bond. When company exercises call provision, the borrower needs to pay certain premium along with face value to its bondholder.Call premium (Cal penalty) is the excess amount of call price over the face value of a bond. Trustee is the representative of bondholders; usually, a bank acts as a watch dog to protect the interest of the bondholders. The trustee’s responsibilities are to authenticate the bond issue’s legality at the time of issuance, to watch over the financial condition and to initiate appropriate actions if the borrower does not meet any of these obligations which are specified in the bond indenture. In Nepal, a company must appoint a trustee to issue bond or debenture in the market. Sinking Fund ProvisionIt is a special provision in which a certain portion of the profit is kept as reserve in each year for the redemption of the principal amount of bond. Most of the corporation can make periodic sinking fund payments to a trustee to retire a specified amount of bonds in each period. Bond rating is an indicator of the creditworthiness of specific bond issues.These ratings are often interpreted as an indication of the relative likelihood of default on the Part of the bond issuers such as Aaa, Aa, A, Baa, Ba .cetc. Investment grade bonds are bonds that have been assigned to one of the top four ratings (AAA through BBB by Standard and Poor’s; & Aaa through Baa by Moody’s). Speculative-grade bonds are bonds that have been assigned to one of the lower ratings (BB and below by Standard and Poor’s Ba and below by Moody’s). Some of these low rated securities are called, derisively junk bonds. Put provision provides the holder with the right to sell the bonds back to the company before maturity period at a specified price when the company violates the terms and conditions which are specified in the bond indenture. Convertible feature is used as a sweetener in a new bond issue (or less often a preferred stock issue) to enhance its marketability and/or lower the interest rate. When the bond is issued by keeping the convertible feature, bondholders can convert their bonds into common shares of the same company at the option of the bondholder at a specified price within a certain period of time. This convertible feature enables the firm to sell a convertible security at a lower yield than it would have to pay on a straight bond. Bond indenture is an agreement paper in which all the terms and conditions associated with the bond issue are specified. The terms and conditions may be par value, mode of interest payment, assets pledged as collateral, call provision, call premium, restrictions (covenants) placed by the creditors, rights and responsibilities of the lender and borrower etc.